Golden Apples: What? Socks Again? 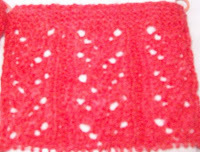 The stitch pattern: perfect! 10 stitch repeat--(and my generic sock? 60 stitches!) 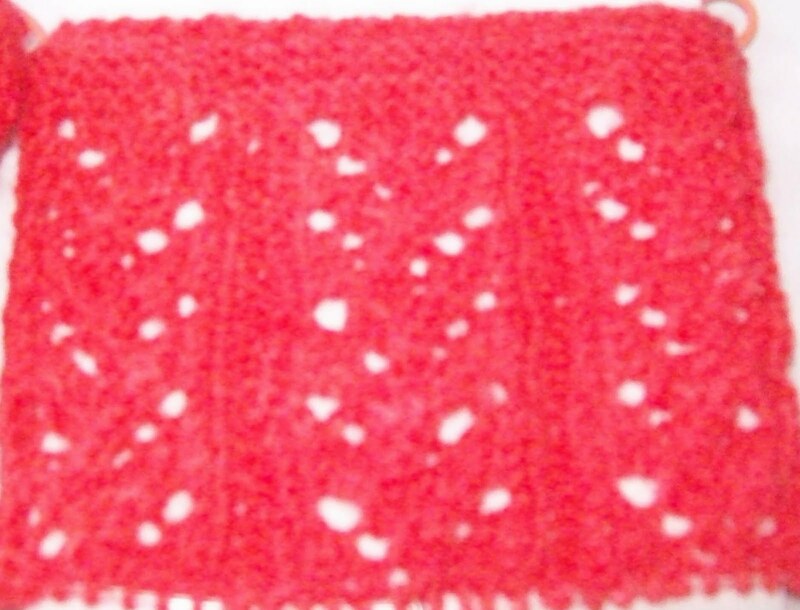 I make one change—and replaced 2 of the 4 plain stocking knit stitches between each lace column,with 2 purls. The disadvantage to the is: each “row” (2 per round) starts with a purl. It doesn't really bother me—but it might some. The color match is good—not perfect. The sock yarn is much brighter than the sweater. It could be a problem, but my experience with Koigu--(limited, very limited I admit) is that it fades. But even it it doesn't there is a big space between the shoulder yoke of the sweater and the top of the sock! The colors are the same hue. Besides—who needs perfectly matched sweaters and socks? Closely co-ordinated color are more than enough for a good match! There is work going on behind the scenes.. I want to make this blog better (I have every day more and more dedicated reader (and I can't tell you enough how that pleases me!) I want to please you, the reader, too! That's going to be one very pretty scarf. Can't wait to see what you do with your blog. the socks are going to be lovely. And I love that you're matching them to a sweater. Your socks matching your sweater is going to be awesome! I'm all into that. I like to make a headband to match my sweaters (except that I just cut my hair), but I never thought of having my socks match too.